Gone are the days when hearing aids were bulky contraptions that made it all too obvious that you’re wearing them. Over the past few years, hearing aid technology has made a lot of progress very quickly. Today’s digital hearing aids are lighter, smaller and aesthetically more pleasing. Researchers and engineers are trying to make hearing aids even more efficient. Here’s the latest on hearing aids technology. The biggest challenge for hearing aids is not the amplification of sounds, but filtering out ambient or background sound. We live in a noisy environment with a constant background score of cars honking, construction work, music in shops, and even the noise of lawnmowers or the hum of refrigerators. These background noises make it difficult for hearing aids to work at their optimum levels. 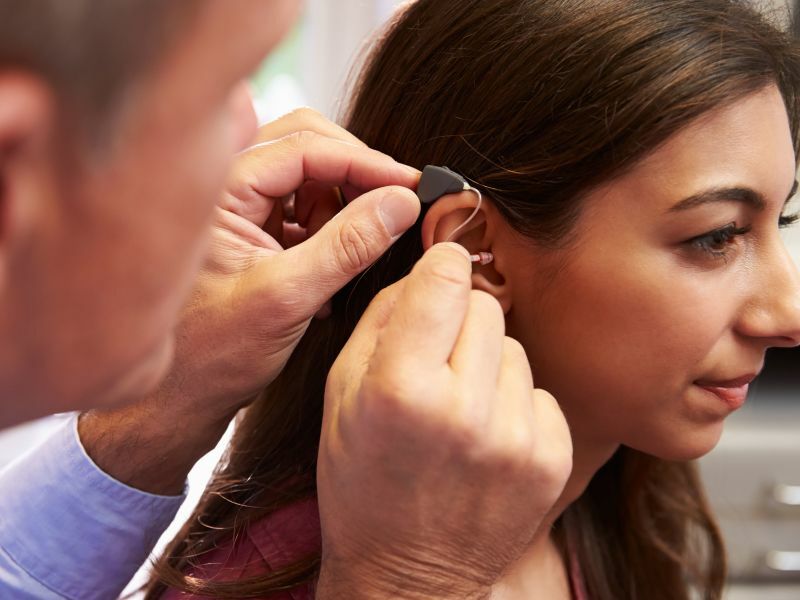 Leading hearing aids brand Widex has come up with a line of UniqueTM hearing aids, which draw on a sound library of more than 500 different sounds in 100 different environments. Technicians have spent several years putting together this library, and then ‘teaching’ the hearing aids to understand each sound and how to react to them. UniqueTM hearing aids have thus been ‘trained’ to reduce background noise and heighten low speech and sounds. This helps users to focus on what’s important and have clearer, more meaningful conversations. In-the-ear (ITE) hearing aids come with twin microphones and offer excellent sound clarity. These are especially useful for people with moderate to severe hearing loss. Open ear or receiver-in-the-ear (RTE) hearing aids are quite discreet and hence more popular. They provide natural sound clarity and are helpful to people with moderate hearing loss. Completely in the canal (CIC) hearing aids are very tiny and don’t have manual controls. These are most helpful to people with mild hearing loss, as the sound clarity is slightly reduced. Most hearing aids can be custom fitted after taking impressions of your ear, thus providing more comfort. Getting a hearing test done is the best way of assessing your hearing loss. At Leightons Opticians and Hearing Care we offer a free hearing test, along with a complete lifestyle evaluation. The hearing test generates an audiogram, which will help us understand the level of your hearing loss. Our audiologist will then help you select from our wide range of digital hearing aids. Choose from some of the world’s best hearing aid manufacturers, including ReSound, Oticon, Phonak, Widex & Sivantos. Get a free hearing aid demonstration as well, which will give you an idea of how your hearing will improve with our digital hearing aids. At Leightons Opticians and Hearing Care you are guaranteed to get continued after-care assistance, consultations and a clean & check service. So visit your nearest branch or call us on 0800 40 20 20 and speak to our hearing care experts.